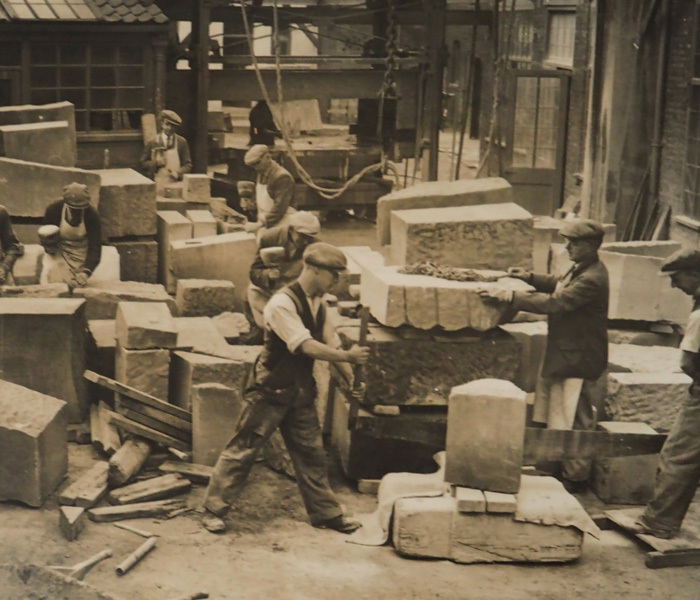 Having recently hosted the cathedral’s Stone Carving Festival in Summer 2018, we look back at the history of the ancient craft at the Minster. 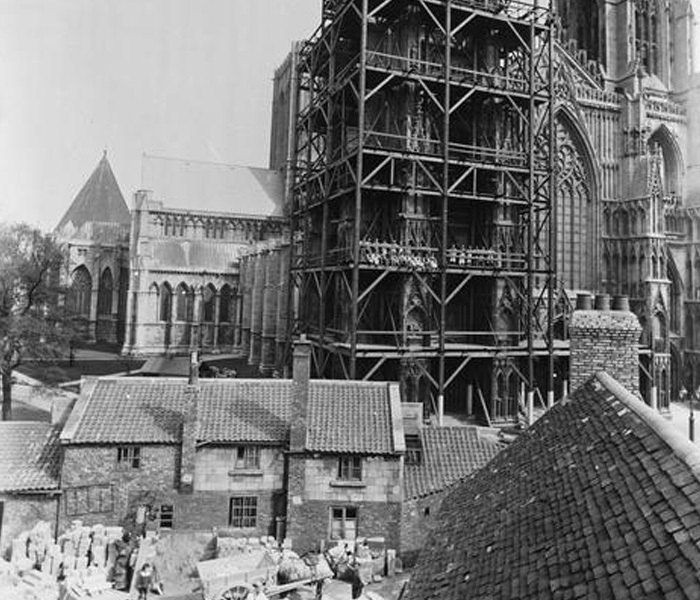 The work to maintain York Minster’s vast architecture is never complete. There has been a rolling programme of restoration work at the 800-year-old cathedral since the late 18th century, after a report by prominent architect John Carr found various areas in need of repair. To support the work, a permanent Stoneyard was created at the cathedral’s West End in the early 1800s, where the Purey Cust housing development now stands. The yard moved to its current location in Deangate in 1913, where the Minster’s team of 16 masons is now based. Today, York Minster is one of nine cathedrals in the country to maintain a permanent masons’ workshop, with the team working up to 50 tonnes of stone each year as part of ongoing conservation projects. The skills and techniques employed by the cathedral’s masons today have been passed down through the centuries, with each stone hand carved in the workshop using mallets and chisels, as their medieval predecessors would also have done. The main development in the last century has been the introduction of mechanical techniques for lifting and sawing stones. Each mason has their own unique ‘mason’s mark’ – a symbol carved into each stone they finish to show the person who carved it. Historically, they were used to indicate that a piece of work was finished so that the mason could be paid. 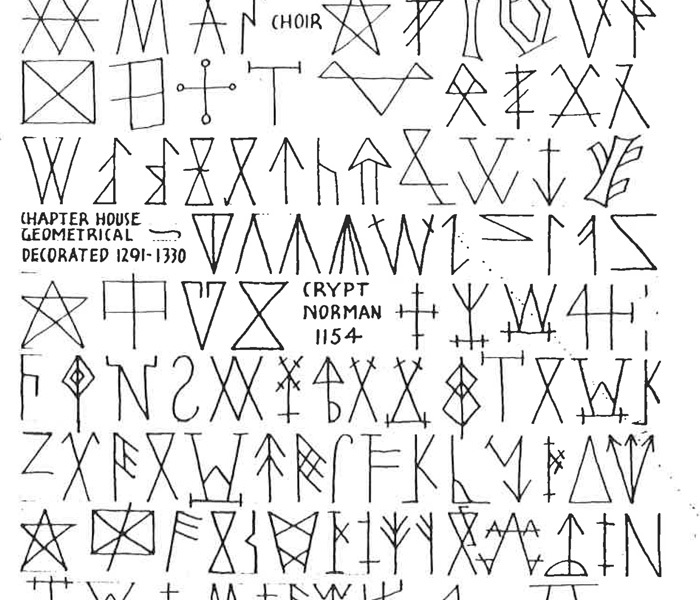 Masons marks have been found on stones in parts of the cathedral dating back to 1154. The same mason’s marks used by craftsmen working on the Minster have also been found on other local churches, showing they historically travelled from building to building for work. The stone used to maintain the Minster is predominantly magnesian limestone currently sourced from a quarry near Tadcaster. It is relatively rare in the UK, with the only seam running from County Durham down towards Nottinghamshire. Records show that stone for the Minster has been quarried from the Tadcaster area since 1234, when Robert le Vavasour granted rights to the Dean and Chapter to quarry stone there and confirmed the right to pass over his land to obtain stone from Thevesdale. 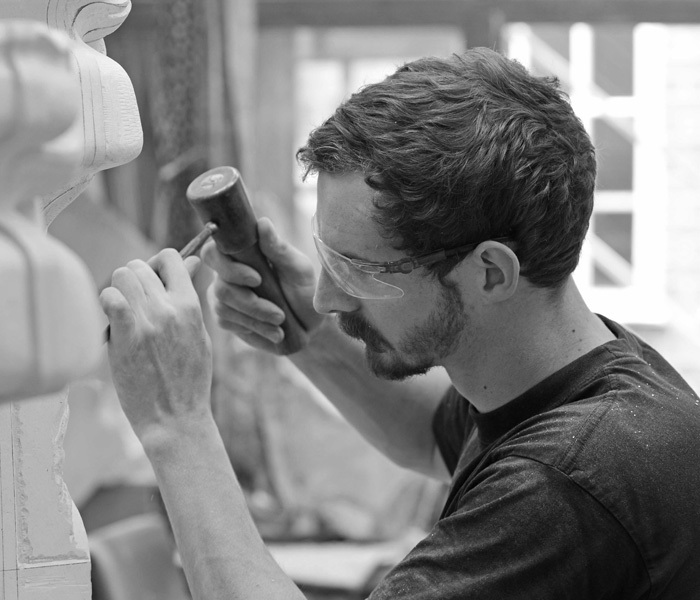 Today, the ancient craft is sustained through continuous investment in the next generation of skilled cathedral stonemasons. York Minster currently has four stonemasonry apprentices who will each spend four years training to become qualified masons. Along with eight other cathedrals, the Minster is part of a national network – the Cathedrals’ Workshop Fellowship – which works to support the development of craft skills for the conservation, maintenance and repair of cathedrals and historic buildings.